Mar 1, 2012 › Categories: Got Beer? One problem with big mainstream beers is that people expect me to know everything about every new release, and have completely analyzed it within twenty seconds of hearing a name. 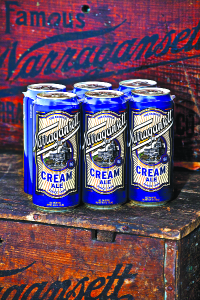 For instance, when Narragansett first came back a few years ago, everyone I knew demanded that I try it and give my opinion. This was back when I was but a young beer snob trying to make my way in the world, and it came as quite a shock to most people when I didn’t hate it. When Grey Sail described their Flagship Ale as ‘In the style of a cream ale’ I thought the phrasing a bit odd and more than a little suspicious, but in truth it’s not anything like an actual cream ale, so I find the description a bit perplexing. It’d be like describing a chocolate cake as ‘in the style of a carrot cake’ because there’s orange frosting on top. 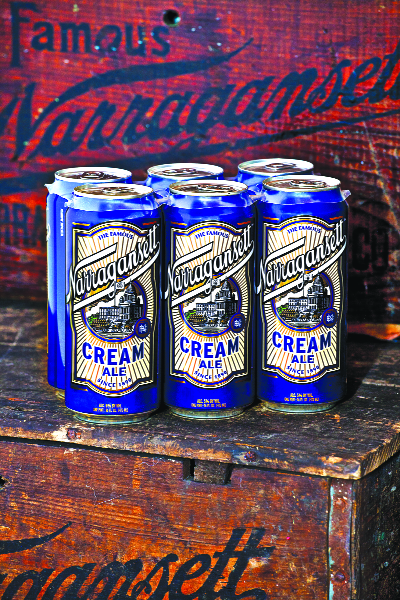 Now I’m not picking on either company, I’m just getting ready to try the Narragansett Cream Ale and setting up the proper framework for my following comments so I’m not misinterpreted. I’ve had two cream ales before. One was Genesee, which to this day I can’t even think about without the urge to start chewing grass, and the other from Haverhill, which was actually fairly decent, though filling, and reminiscent of cream soda. So I don’t have a wide range of experience with cream ales. But, it’s my job to plunge into the unknown tongue-first and tell the people what my impressions are via colorful metaphors/simile’s. On the first sip, I don’t get a lot, but on subsequent tastings several subtle flavors come out like they’re afraid of open areas but desperately need to get the morning paper. Unlike the other two cream ales I’ve tried, this one neither slaps the palate nor builds a heavy concrete foundation in the stomach. It’s actually a session cream ale if that makes any kind of sense. It’s simple-sweet, with just a hint of a vanilla-creamy flavor that tries to slip unnoticed past the taste buds like me trying to slip unnoticed past security at the Foxy Lady. What? I just don’t like being hassled is all. Let me put this in terms everyone can understand. It’s not canned meatloaf (yes, this exists), but it’s not Filet Mignon either, it’s a bit closer to the fast-food end of the spectrum, but that’s not a bad thing either. Of course I love a good steak, but I’m not one to turn down a Baconator if I’m hungry and low on cash… and I often am! Besides… Mmmmm… bacon.